Nintendo. They're my guys. Since I first played Super Mario Bros. at Martin Alessi's house in 1986, they've been my favorite and most played video game consoles, not to mention home to my favorite franchises. Mario, Zelda, Metroid, Punch-Out, plus a host of third party (mostly Konami) titles, like Castlevania, Contra, and Gradius have filled the last 30 years with so much warmth and joy! They've not only been my favorite, but the favorite of so many others, and they remained the kings of the home console for years to come. So what happened? Where did it all go wrong, and where are we now? Well lets face it, sticking with Cartridges on the N64 was a mistake, and while they tried to course correct with the GameCube, it wasn't enough. So this would be the last time we'd see Nintendo release a standard console with standard controller inputs. from this point forward Nintendo "Switched" to gimmicks. With it's innovative motion controls, Nintendo seemed to have a hit on its hands. The Wii was something the world had never seen and it became a phenomenon! So where could Nintendo go from there? How could they top the success of the Wii? Why with more motion controls of course! Enter the Wii U. With it's confusing title, many thought it was an add on for the Wii rather than Nintendo's next big console. It sported a touch screen motion controller and seemed to be the next evolution of the Wii. So Nintendo is ready to sweep the Wii U under the rug after five years, and with the recent passing of their Japanese CEO Satoru Iwata, is ready to unveil their latest and greatest system! They did. It was awkward. In the past, as has become tradition, game systems are unveiled at E3 in front a live audience, with much fanfare. 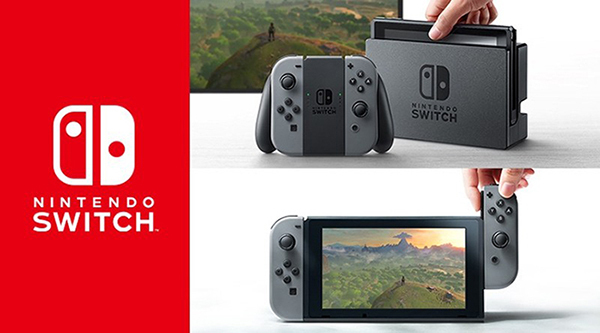 Nintendo revealed their new system to the world on October 20th, 2016 with a three minute commercial. No fanfare, and no accompanying information. What you saw was all you were gonna see (or hear). Was I the only one who thought this was weird? It wouldn't be until three months later on January 13th, 2017 that we'd get any more information about the system that was rumored to release only three months from now! This time we were treated to a badly dubbed, hour long Japanese presentation that left us with so many questions! The foremost on my mind being, WHAT THE HELL IS GOING ON WITH NINTENDO THESE DAYS!? In today's episode of Radd's Basement: Nerd Culture Podcast, I sit down with Mike Vallas and try to figure this all out. If you're not a big gamer, I encourage you to take in the two videos I mentioned in the previous paragraph. It's not required but it may help with context. Please "Switch" *snap* to the podcast now!